You have stepped on stage and the spotlight is on your band. You go through your set-list and your songs get the attention of the crowd. The combination of the lights, the sound, and the energy of the crowd is what you dream of for yourself and your band members. But there is something missing still. The key to being a successful band is to stay with your audience when the show is over. 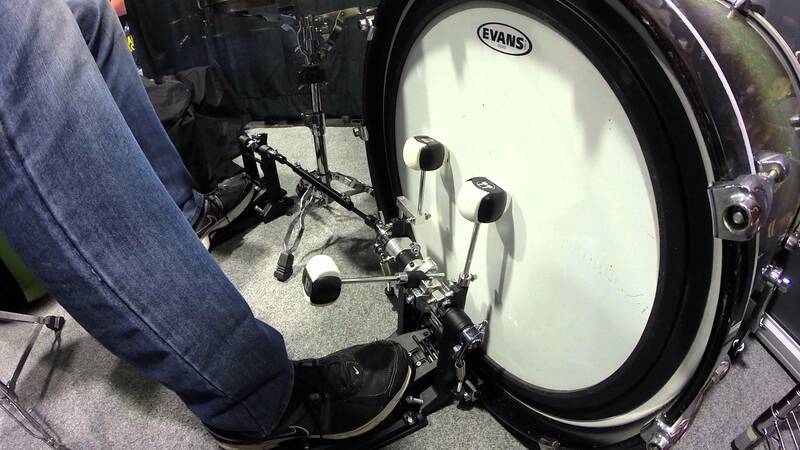 Strictly from a visual point-of-view, the centrepiece of your set-up is your bass drum. It usually sits deep on the stage, and the rest of the stations, your keys, your guitars and your mics, all align with your drums. When the audience hits the groove and enjoys your music, the subtly lasting image would be the logo on the drum. This is where you need to rethink if you don’t have your band logo on the drum head. Sometimes you may not have an image or a graphic ready soon enough for your live performances. This visual property is an important part of your brand and you should not be rushed into creating one. The advantage of reaching out to graphic experts and designers is that they can create a logo or image that represents the identity of your band with professional expertise. Your image can be simply the logo with the correct font details and proportions. Many bands choose eye-catching and vivid artwork, always original, for a more resounding effect. If you are looking to expand your band revenue with some merchandise, having the main artwork on the drum head helps promote the imagery during the show. It can go a long way in promoting your merchandise sales and enable a more fortified marketing strategy. If you are submitting your own artwork, here are some pointers to keep in mind. Create your image with enough bleeding space for the actual printing. The larger the file size, the better the resolution, and therefore the better the final result. Cut down on costs by choosing a company that includes the drum head price along with the graphics work. You can also choose from different drum head sizes, depending on your requirements. Sizes of up to 40 inches are available. When you are going to get a custom drum head, it is best that you go to the experts, who will ensure that you have uncompromised music quality along with the new cool imagery. At CustomBassDrumHead.com you can get your desired logo or image printed onto the highest-quality single-ply drum heads, coated white or with a glossy ebony finish – depending on what suits the artwork the most. With UV cured silkscreen inks, you can rest assured that the graphics will have a very long life, longer than the life of the drum head. Add a professional and visual edge to your live performances with custom graphics. Enjoy your music, connect with fans in your shows and build your repertoire.